A cloudy day in a terra or desert? I see two layers of clouds... Maybe one more over. Not a terra or a desert. 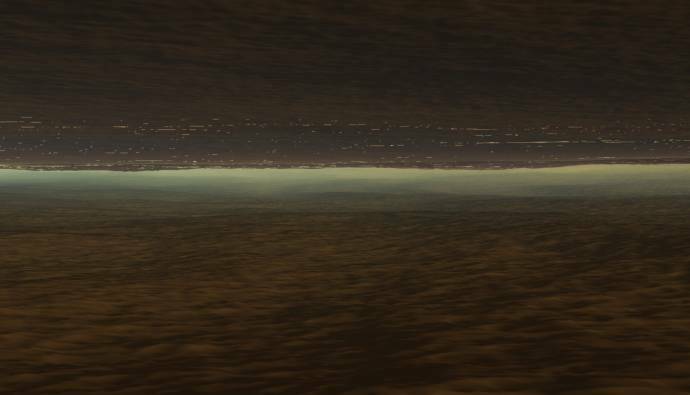 Camera is upside down (relative to horizon) and this is a cloudy titan world(or ice if it's that cold). 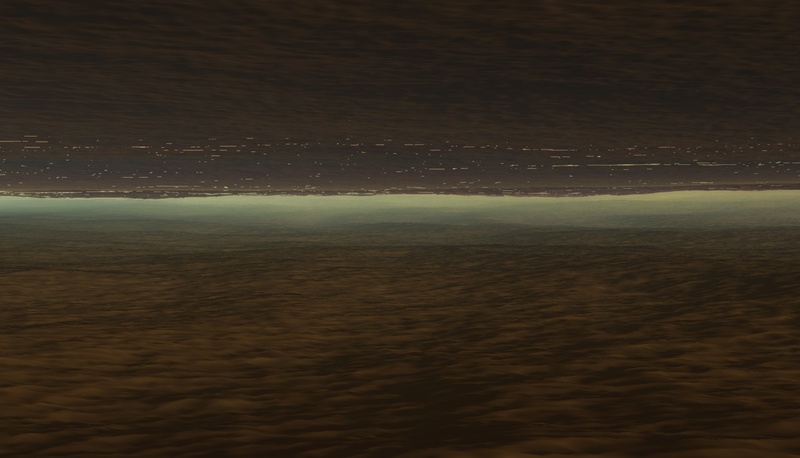 Disasterpiece, it is on a titan, between the layers of clouds, camera looks at the horizon. I am going to have to give it to Donatelo, because he got the upside down detail. Your turn. This may or may not be a tough one. 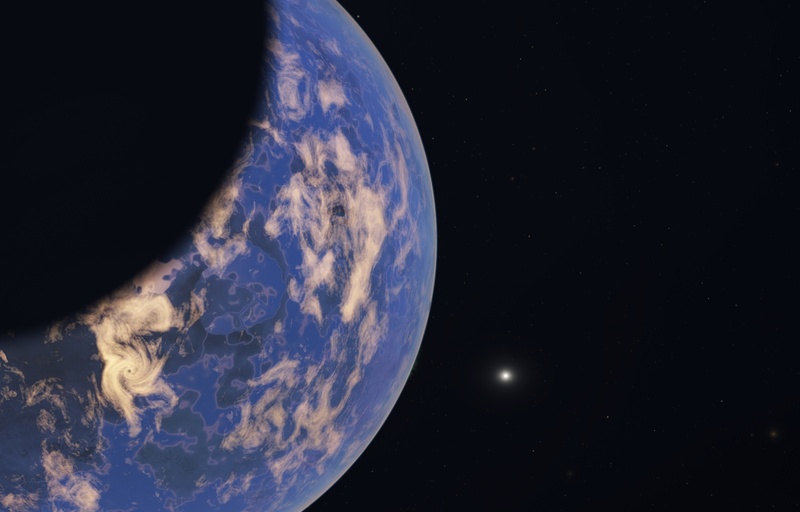 A (very pretty and apparently inhabited) terra fills the frame on the left, partially covered by an eclipse shadow. Based on the size of the shadow and penumbra thickness, the eclipsing body appears to be a nearby and similarly sized body. It is suggested that this is a binary planet. There is a white star (or white dwarf?) in the background, but the most important source of illumination is not in the frame. Stars and a few DSO's are visible as well, including a globular cluster at bottom right. Wow you even got the detail of the white dwarf! However there is one detail missing. Pay close attention to the distortion/backdrop of the sky. 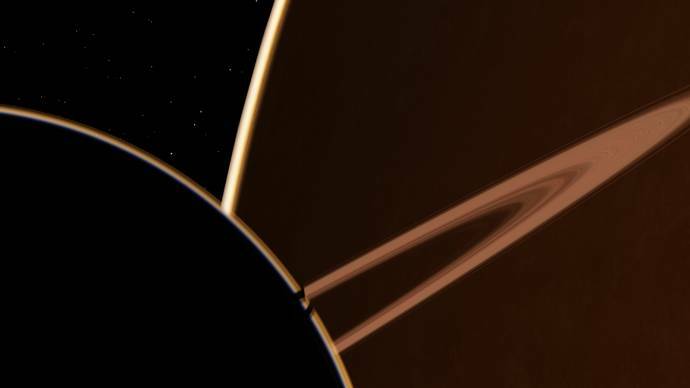 Are we seeing this from inside the atmosphere of the planet casting the shadow? Well im looking the type of planet if thats any indication. Well, the type of the planet can be one of two. It seems to have its own atmosphere, so at the temperature range of liquid water there are three possibilities. Since the shadow's radius is smaller than the terra's, it's highly unlikely to be an oceania, so we can strike that one out. It may be a desert, though. But, since radiuses are close it's likely to be another terra. And illl give it to jcandeias. Also i guess it was to difficult to see but this shot was taken underwater. Damn. This was uncomfortably opportunistic. Sorry Watsisname. Who can tell me what is going on here?